Procrastination via blogging: take 387. It’s Saturday again, which means I’m once again faced with a mountain of household chores that desperately need doing. So, hey, blog update! I’ve actually spent much of the morning in a somewhat productive manner, working on Chosen and finally making some progress on a scene I’ve been struggling with for about a week now. The problem with having two highly complex and complicated individuals as your main characters is that it’s pretty damned hard to get them to have a straightforward conversation with each other, but I think I’ve finally got them heading in the right direction. After said scene is finally finished, I can go back to the arduous task of reading through the finished book again and again to make sure everything makes sense and I haven’t accidentally created an utter piece of crap instead of a Grand Opus fifteen years in the making. I’ve also been realizing, more and more, just how desperately in love I am with Mr. Defrin, to the point that I’m pretty seriously considering writing a prequel from his point of view at some point in the future. I’d like to start when he’s relatively young, then take it all the way up to the events of Chosen, ‘cuz, damn, I adore him. 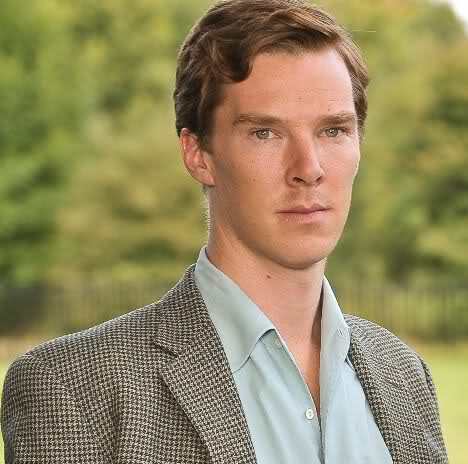 And not just because I’ve cast Benedict Cumberbatch to play him in the Sure To Actually Happen movie adaptation of the book. Moving on. I don’t actually have much else to say, as I think I used up my daily allotment of coherence during my writing session this morning. All I can think about now is finding something good to eat for lunch, and then maybe collapsing onto my bed and thinking about how great it would be if I could clean my apartment with the power of my mind. Use the Force, Luke. Those dishes aren’t going to wash themselves.